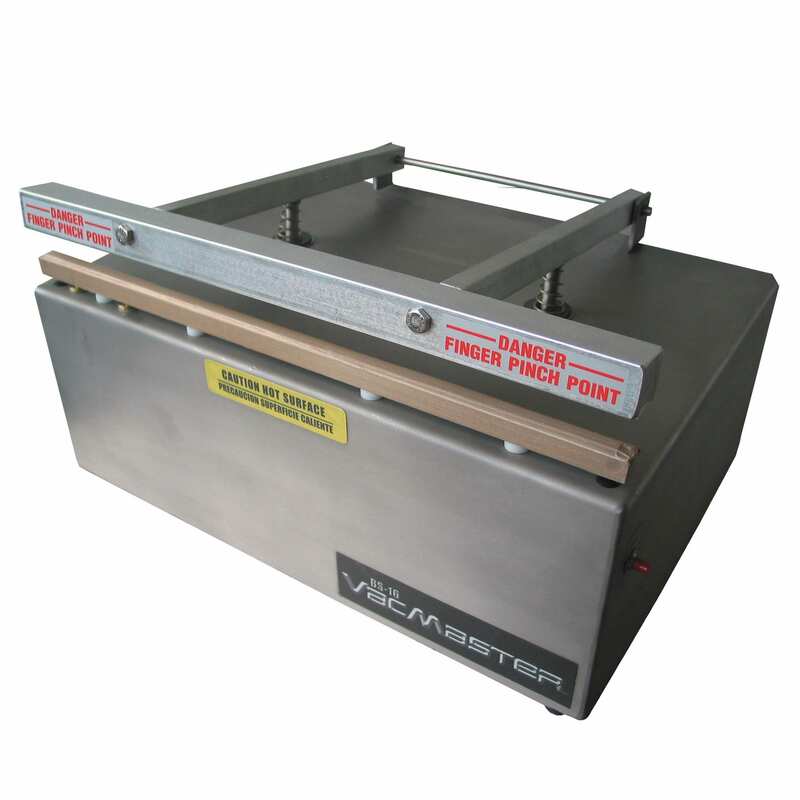 The VacMaster® BS116 is a heavy-duty impulse sealer designed to quickly seal a wide variety of bag types. Our VacMaster® BS116 Impulse Sealer is a fully automatic electromagnetic sealer with the latest technology that allows different types of bags to be quickly and easily sealed. It is designed to meet the demand of small to high volume food service operations. This unit has a full 16″ seal bar that requires no tools for easy installation and removal. Cleaning and maintenance is a breeze! It also features simple, hands-free operation via the foot pedal, and is also designed to create a positive, secure seal on both commercial and retail pouches, as well as plain poly bags. Please note: there is a restocking fee on returned machines. DESIGNED FOR BAGS 8" OR LESS 8" HAND OPERATED HEAT SEALER 2MM FLAT BAND SEAL Our hand operated impulse heat sealer will quickly and easily apply a reliable seal.